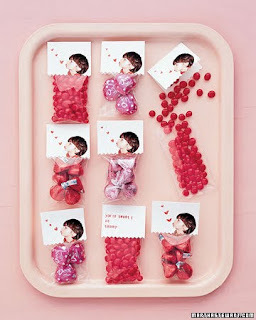 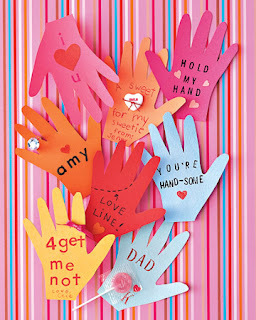 Snip candy hearts for an entire class in a snap, simply cut a heart from a strip of candy dots, and glue it to a piece of construction paper. 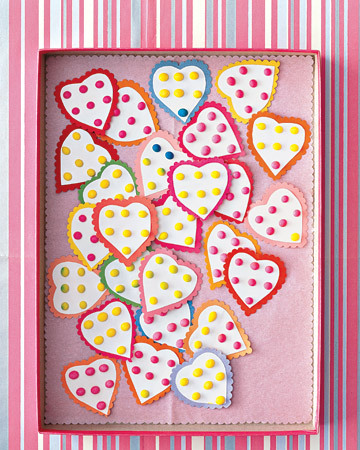 With scalloping scissors, cut construction paper to create a border around the heart. 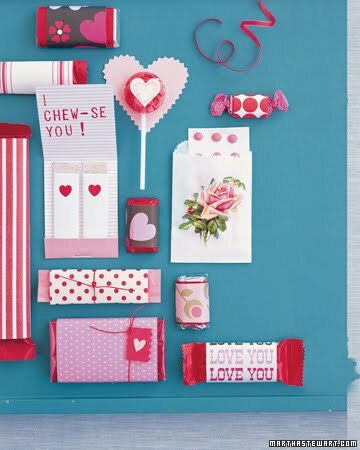 With just a little TLC, colorful hearts flourish as the petals of a new flower variety -- one with a lollipop center and stem. 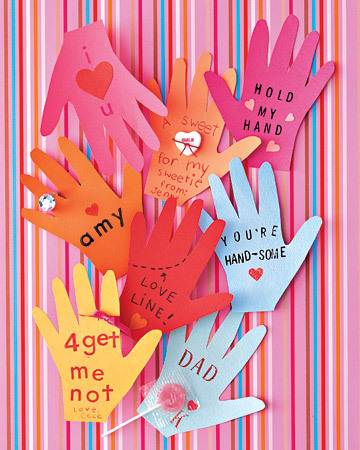 Use card stock to make a half-heart template about 3 inches high and 1 1/4 inches wide, fold a 12-by-3 1/2-inch piece of construction paper in half vertically, and trace four half-hearts along the fold. Cut out hearts; unfold, then stack hearts, punch a hole 1/4 inch up from bottom, and position petals to form a flower, making sure holes line up. 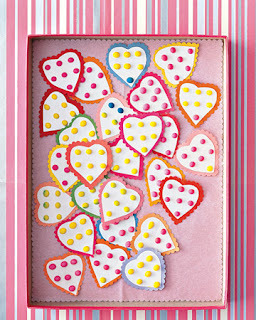 Secure by applying glue around holes; let dry. 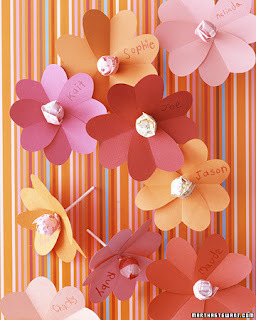 Write the name on a petal and insert lollipop.